The woman went into labor along the road. There were complications. “Don’t worry,” her midwife said quietly. “You are having a son.” But the midwife knew the end was close. The woman’s name was Rachel. She died quietly along the road. Having seen the face of her second son, she left the world in peace. Her husband put up a stone pillar to mark the location. The town to which they had been traveling before she died: Bethlehem. An old man wanders into a small town six miles away from Jerusalem. War has ravaged the country. When the elders of the town see the old man approaching, they tremble – he is, after all, the king’s prophet. “Do you come in peace?” they ask. He wants to be taken to the family of a man named Jesse – God has told him to anoint the new king. All of Jesse’s sons pass in front of him, yet the prophet does not anoint any of them. The old man, the prophet Samuel, anoints the youngest son to be king, a boy named David. The angels proclaim, Peace on earth. Goodwill towards men. A few years later the local king discovers that the boy has been tied to some very important bits of prophecy, so he murders all the boys under two years of age. The child named Jesus escapes, but many others do not. Bethlehem. The town to which so many went, seeking peace. But what did they find? Rachel desired a son to be “her progeny,” yet she found death along the roadside. Samuel the prophet went looking for a king, but he found only the youngest son, minding sheep and playing a harp. Mary and Joseph sought a place of refuge for the birth of their son but in a few short years were forced to flee the wrath of a wicked king. This town is an enigma. It never seemed to give to people exactly what they were looking for. Even now, with thousands of nativity scenes plastering the country, we continue to miss the point of Bethlehem. The angels proclaimed peace on earth, but it must not be the kind of peace that I understand, because everywhere I look I see war. Disharmony. unPeace. But tonight it hit me. The thing that Bethlehem has to offer us is so scandalous that we don’t want to acknowledge it. It’s too difficult for us to accept, so we cover it in garland and turn it into a huge blow-up display in our front yard. The message of Bethlehem makes me far more uncomfortable than I care to admit. 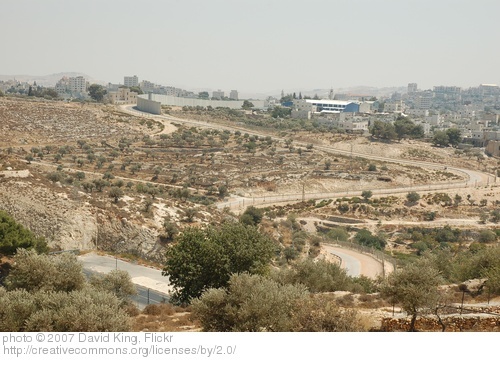 What does the story of Bethlehem offer anyone who approaches? What a provocative post. Thank you! “It never seemed to give to people exactly what they were looking for.” Interesting tie for these stories about Bethlehem. Nice post. Good to see you again, Michael. Thanks. I love love this. Thank you so much. You, too, Janet. Merry Christmas. Well done, Shawn. And, yes, provocative. You have a beautiful way of expressing your thoughts through the written word. Merry Christmas and a Very Blessed New Year!